This is the ZenBook Pro 15 UX580, ASUS’ answer to the new 15-inch Apple MacBook Pro. The two have a lot in common, as this review unravels. Essentially, the ZenBook Pro 15 UX580 is a powerful and relatively compact and portable premium 15-inch notebook. The ZenBook Pro 15 UX580 comes with Intel’s newest and most powerful mobile processor ever, the hexa-core Core i9-8950HK. It has a base clock speed of 2.9GHz and can be boosted to 4.5GHz. It also has a large 12MB L3 cache. Apple offers the same processor in its newest 15-inch MacBook Pro. Complementing the processor is 16GB of RAM, a 1TB PCIe SSD, and an NVIDIA GeForce GTX 1050 Ti GPU with 4GB of GDDR5 memory. For its size, it is a beast of a notebook. 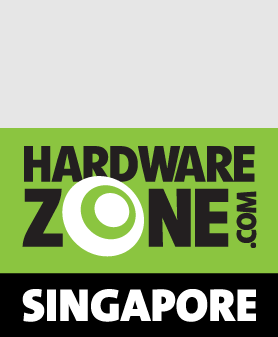 This is also the only SKU that ASUS offers now. You said it was compact and premium? Yes, relatively speaking, of course. It measures 18.9mm thick and weighs 1.88kg, which is quite similar to the 15-inch MacBook Pro. Look around yourself, you will struggle to find that many notebooks with comparable hardware that is as thin and as light. As for the premium side of things, it has an all aluminum body with rose gold bevels around the keyboard. It feels solidly put together and well constructed. 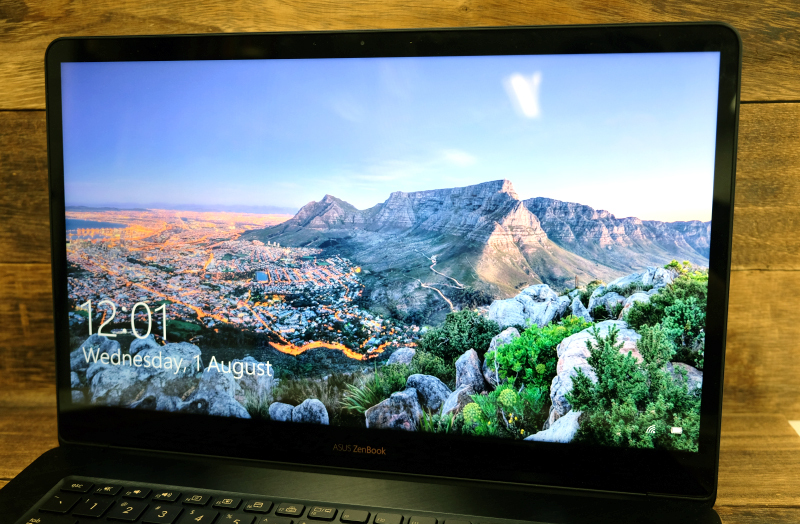 There's no mistaking that the ZenBook Pro 15 is a high-end notebook. While it's good, it still doesn't feel quite as good as a MacBook Pro. But then, nothing really does. What display does it have? It comes with a 15.6-inch 4K touchscreen display that supports 100% of the Adobe RGB color space. 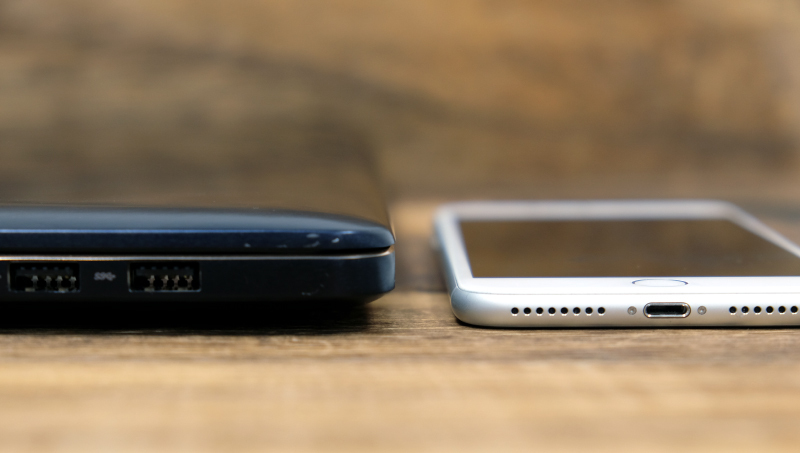 It also has bezels that are just 7.3mm thick, giving it an 83% screen-to-body ratio. 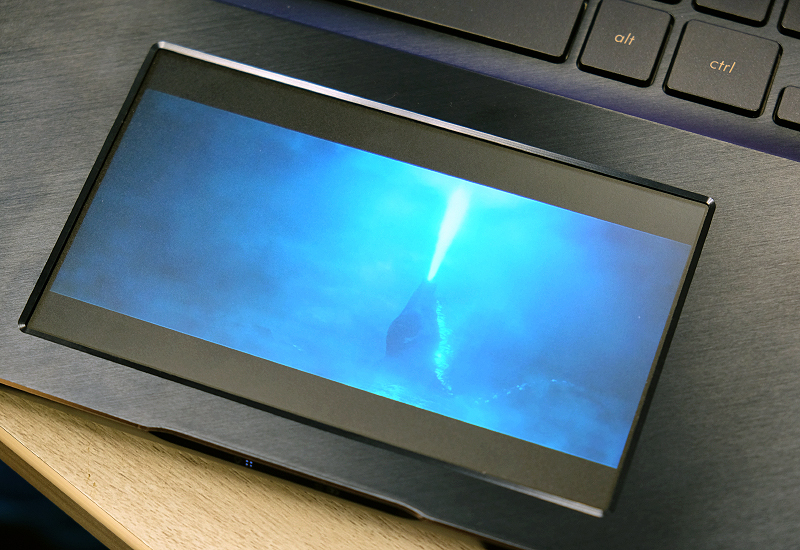 It isn’t as dramatic looking as Dell’s InfinityEdge display but it still looks pretty swanky. It is definitely a match for the Retina displays found on Apple's MacBook Pro notebooks. 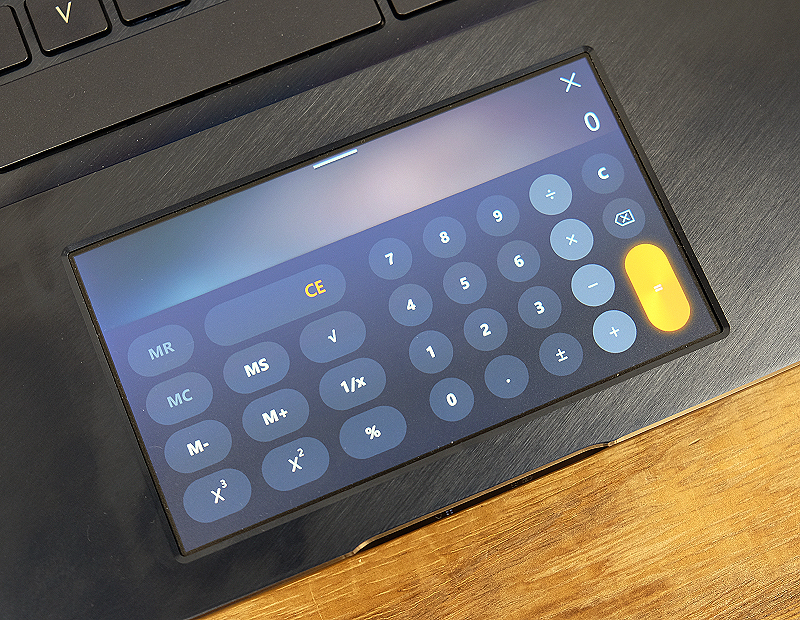 The display also supports the ASUS Pen (sold separately at S$69), which offers up to 1,024 levels of pressure sensitivity and supports writing angles of up to 45 degrees. The functionality of this is doubtful though since the display cannot fold flat which makes writing with the pen unnatural. 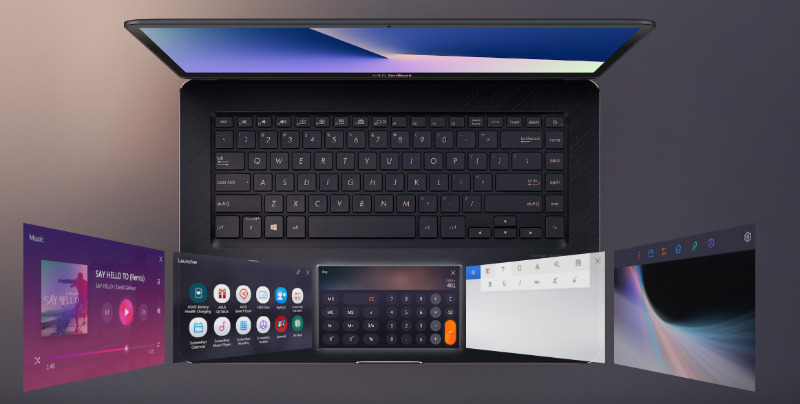 I/O connectivity is one of the ZenBook Pro 15’s strongest suits. It has two USB Type-A ports supporting USB 3.1 Gen 2 (up to 10Gbps each) and two USB-C Thunderbolt 3 ports (up to 40Gbps each). 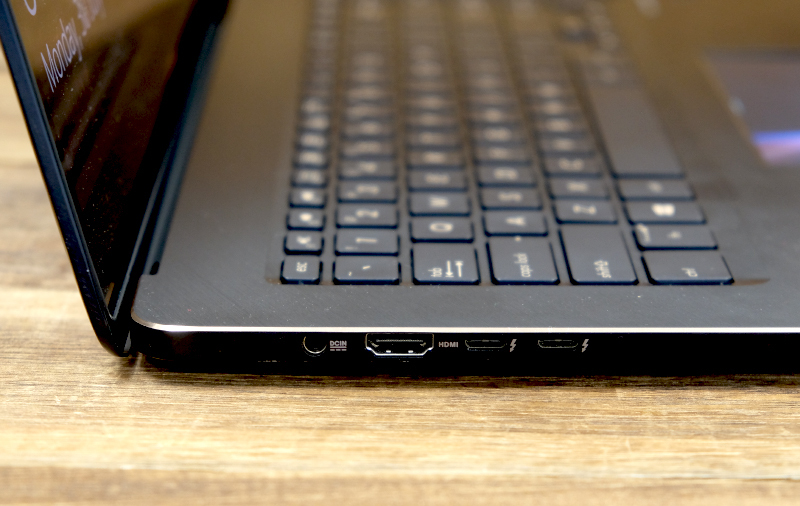 On top of that, it also has a full-size HDMI port and a microSD card slot. The lack of a full-size SD card slot is a little disappointing but an increasing number of notebooks these days are ditching full-size SD card slots in favor of microSD card slots to shave precious millimeters off their thickness. Our advice? Photographers, it's time to embrace the microsSD card and use an adapter to mount it in your camera. 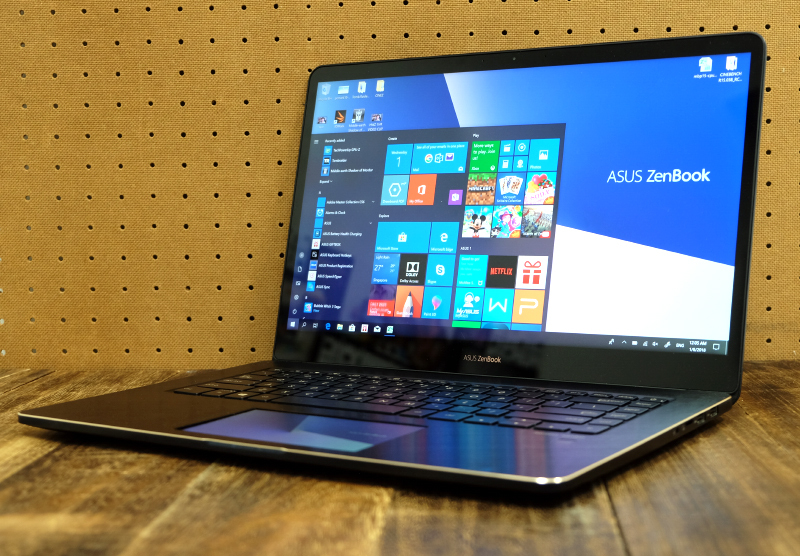 ASUS says the ZenBook Pro 15 has integrated gigabit-class Wi-Fi, what’s that about? The Wi-Fi adapter within the notebook is the new Intel Wireless-AC 9560. It is a 2x2 adapter but it supports 802.11ac Wave 2 and 160MHz channels. This means that if you have a compatible 802.11ac Wave 2 router, like the ASUS ROG Rapture GT-AC5300 and ASUS RT-AC88U, you can get data transfer speeds of up to 866Mbps per stream. In other words, the ZenBook Pro 15’s can support a maximum data transfer of 1,732Mbps - hence gigabit-class Wi-Fi. I hear it has a ScreenPad. What is that? 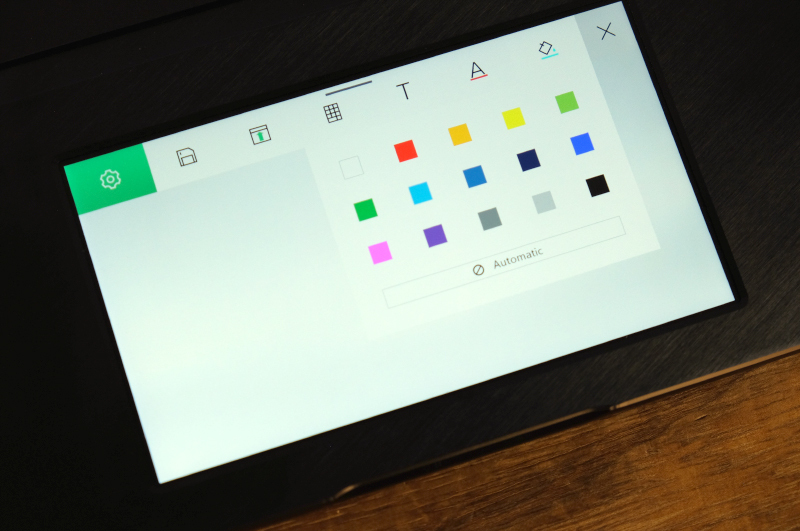 ScreenPad is a 5.5-inch clickable trackpad (the same size as an iPhone 8 Plus) that doubles up as a touchscreen Full-HD display. Yup, you heard that right. It changes depending on what apps you are using and can even be configured to work as an extended display. It won't be a stretch to say that it takes the idea of Apple’s Touch Bar to the extremes. Though it sounds large, the ScreenPad is actually dwarfed by the trackpad on Apple's 15-inch MacBook Pro, which measures an incredible 7.25 inches. So what can you do with the ScreenPad? There are two modes of usage. The first is that it can function as a second display. You can configure it as an extended display or use it to mirror your primary display. In extended display mode, you can drag Windows to it or open apps on it. But at 5.5-inches, it is too small to do any serious kind of work even if you turn up the magnification in the display settings. That said, I found it to be great for watching videos. The second mode is called ScreenPad mode and in this mode, it runs ScreenPad apps that can adapt to what you are doing. If you run Microsoft Word, for example, the ScreenPad will show Word formatting options. Or you could use it to run apps that independent of what you are doing on the main screen. There is a Spotify app that makes it convenient for users to control their Spotify playback. There is also a calculator app and calendar app. Though the ScreenPad was probably inspired by Apple’s Touch Bar, there are some key differences. The Touch Bar was designed mainly to complement the main screen and cannot run apps in the same way that the ScreedPad can. This makes the ScreenPad more flexible. It can be configured to show controls that complement the main app that is running or it can be used to run other apps for easier multitasking. The above-mentioned calendar, calculator, and Spotify apps, as simple as they are, can be considered standalone apps. But more importantly, they make it easy for users to run apps alongside their main apps. So is it really useful? It really depends on your personal usage patterns and habits. Personally, I don’t find it all that useful for two reasons. The first reason is that the display is too small to be used as an extended display. You have to squint to make out text and so it is really only big enough to be used for video. Furthermore, navigating apps and windows on the ScreenPad is a little clumsy as you will have to rely on your trackpad pointer, which appears as a tiny arrow on the ScreenPad display. The problem is compounded by the fact that the pointer on the ScreenPad does not always mirror your finger inputs 100%, which makes it difficult to determine if the pointer is actually pointing in the right place since your finger will certainly be blocking a portion of the ScreenPad. The second reason is that I’m a touch typist and I don’t look down at the keyboard when I type. Furthermore, I rely more on keyboard shortcuts for my usual workflow and I try not to use the trackpad (or mouse) if I can. So as you can see, my personal workflow habits and patterns limit the usefulness of the ScreenPad since it isn’t tactile and forces me to look down from the screen. Of course, all of what I mentioned won’t be a problem if you have better eyesight than I do and if you are the kind that looks at the keyboard while you type. Like I said, the usefulness of the ScreenPad is highly dependent on your personal usage patterns and habits. That said, I’m willing to bet that most professionals will feel the same way as I do about the ScreenPad. 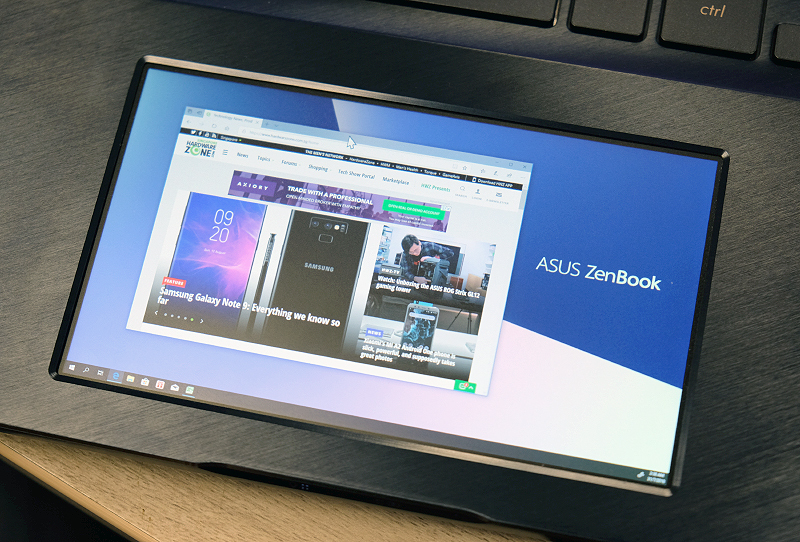 To make the ScreenPad more useful, ASUS is making the SDK of the ScreenPad publicly available in the hopes that it would be picked up by developers. But looking at the state of Apple's Touch Bar today, I won't keep my hopes up.